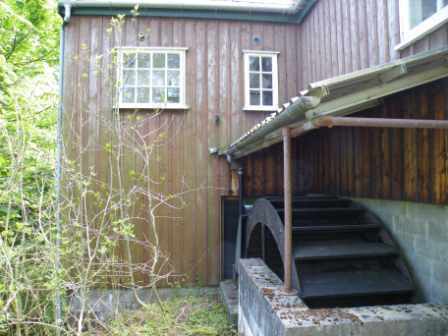 Converted water mills can make wonderful homes with quirky features and a peaceful atmosphere. If the water mill mechanism remains in place converted mills are often the perfect home for families seeking a self-sufficient and low carbon lifestyle and if not, there is always the potential to install a new water wheel to provide power for the property. Denburn Mill in Banff, Aberdeenshire is an idyllic working water powered mill with an abundance of development potential for those looking to make their own mark interiorly to an already stunning property. 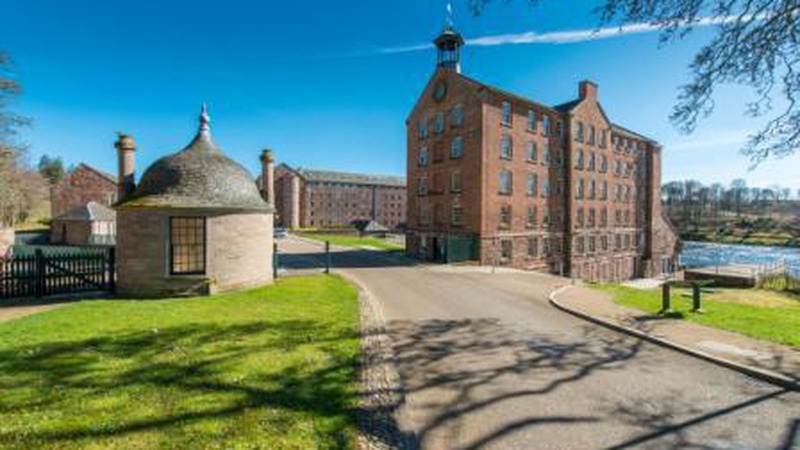 Denburn is situated in an area of outstanding natural beauty where the mill creates a haven for wildlife and birdlife. The building has accommodation set over three stories with the bottom story is built in stone and the two upper levels are built in timber under a pitched mansard' style roof. Planning consent has already been given to extend and convert the building into a characterful and unique house with four/five bedrooms. Dunburn Mill has a Guide Price of 90,000. Lawers Mill in the beautiful village of Aberfeldy, Perthshire has retained many of its interesting original mill features dating back from 1830 and enjoys views overlooking Loch Tay. The architect designed conversion took place in the early 1990s to make the best of the site with the sleeping quarters on the lower ground floor and the living accommodation on the upper floor taking advantage of the brilliant views. Original features include the winding gear in the rafters of the living room, the natural stone internal walls, timber floors to the upper floor, the grinding wheel on which the log burner stands and the vent, a distinctive feature of these traditional mills. 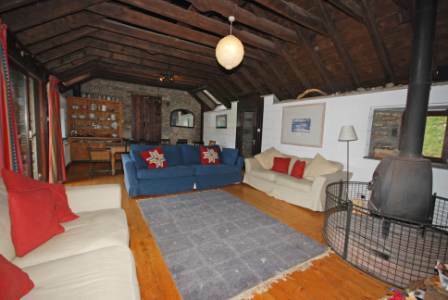 Lawers Mill has a Guide Price of 350, 000. 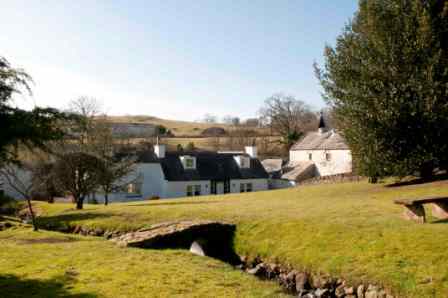 Mill House is set in a pretty hamlet location near Castle Douglas. The accommodation is set out over two levels and is a comfortable three bedroomed home close to the Water of Urr. With fitted kitchen and bathrooms, oil fired central heating, and double glazed windows in sash and case style, Mill House provides all the modern comforts whilst retaining the cottage feel. Mill House has a Guide Price 150,000. Flat 5D in Stanley Mills, is an attractive two bedroom apartment, some seven miles north of the city of Perth, with views over the River Tay. 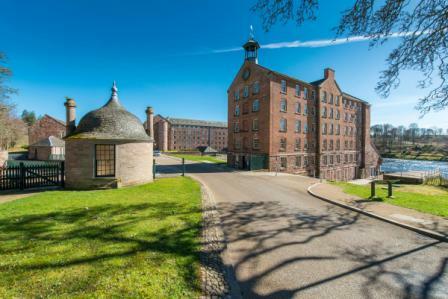 Stanley Mills is believed to be one of the oldest surviving industrial mill buildings in the country. The flat is bright and well presented with the sitting room and kitchen enjoying the pretty outlook and the two bedrooms serviced by a family bathroom. Flat 5D East Mill has a Guide Price 150, 000. "Properties like the water mill conversions are a bit different and often prove very popular for this reason. We have several water mill residential properties on our books at the moment and each offers something special from development opportunities to absolutely stunning waterside locations, I recommend early viewing for any of these sales. "There are several advantages to owning a water mill property; cost can be reduced by installing a new water wheel, properties often include those much sought after original features and are located in beautiful rural spots. We have sold a number of water mill properties in the past, most having been renovated into pretty cottages and proved extremely popular as holiday cottages and second homes; we fully expect these homes to sell as quickly." CKD Galbraith have a wealth of experience in residential and rural sales; in 2013 the firm contributed 38% of all acres sold in Scotland and 54% of the total value of farmland sold. The firm also have strong reach with almost 50% of all CKD Galbarith sales to non-local buyers.